DISCLAIMER: This article uses basic math. If math makes you break out in a rash, proceed with caution. In 1961, John Little made a big splash in queueing theory with his self-titled Little’s Law. Queueing theory is the mathematical study of waiting lines, or queues. Consultants and researchers use queueing theory to predict queue lengths and waiting times. Let’s first define Little’s Law and then break it down, so it’s less intimidating and more digestible. Then we’ll show you why Little’s Law matters whether you are in retail or IT. In other words, if you take the average rate at which people get to a line and multiply it by the time they spend in line, you’ll get the average number of people in line. Being able to predict how long your line will be is very helpful when you are allocated limited resources. Now, let’s take a look at one of main applications of Little’s Law through an example in retail sales. Pretend that you own a small bookstore. Employees have calculated an average of fifty (50) unique customer visits to the store every hour. The average duration of a customer’s visit to the store is about thirty (30) minutes, or half an hour. Let’s take the values we have and assign them to the right variable to calculate how many people will be in the store, on average, at any given time. Since 50 * 0.5 = 25, we know that on average, we’ll have 25 customers at our store. Having an average of 25 customers in the store is great, but we think we can do better than that. What’s the Impact of a Sale? Continuing with this example, we decide to have a book sale for an entire month to increase the number of visitors. During this month, shoppers spend triple the time in the store browsing through our great selection. We also count many more people in the store, around 100 per hour! During our sale month, we had 50 people in our store at any given time. Although we made a lot of money in that month, many customers complained that the store felt crowded and there were too few books. They didn’t buy more books because we couldn’t get them to the shelves fast enough. Not to fear, bookworms. We realized our problem could be solved using a slight variation on Little’s Law to figure out how to get books on the shelf faster and happy customers out the door quicker. Our store can only comfortably fit 40 customers. 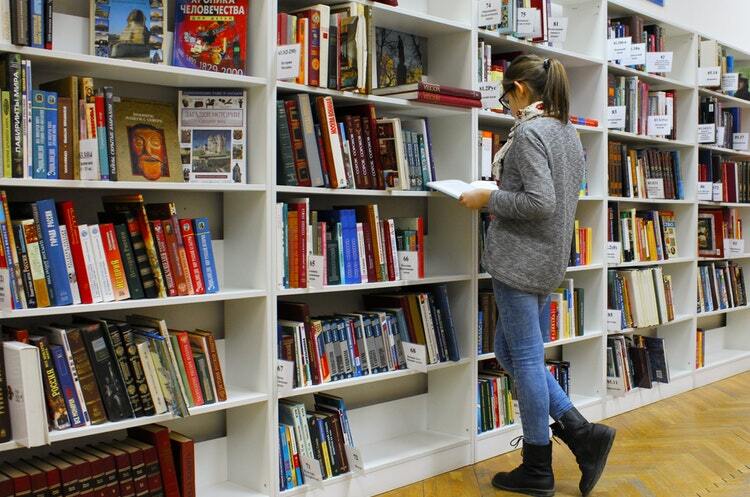 We don’t want to reduce the number of customers coming to the bookstore, so what do we do? We need to reduce the time customer’s spend in the store. In order to reduce the number of customers in the store to a comfortable level without reducing the rate of new customers, we’ll need to reduce time in the store by 6 minutes, or 20%. That might mean hiring another cashier or having an employee walk the sales floor answering questions and helping customers find what they are looking for. As you can see, the math isn’t too terrible, but the application of Little Law’s can be tricky because you have to figure out the scope of a system. In our examples, we treated the bookstore as one system, but it would probably lead to greater insight if we treated the sales floor as a different system than the checkout line. Little’s Law is useful even aside from managing customer flow, like minimizing the time between when a book is purchased from a wholesaler and when it is put on the shelf. There are other “lines” that exist besides customers waiting to make a purchase. Do you need to hire another employee to keep inventory moving? Can something be done at your queue to keep customers from jumping ship before the sale? What would happen if you changed your processes to increase speed? Technology has provided other applications for Little’s law. Sure, it seems simple enough, but this idea has helped businesses optimize their day-to-day processes. Tweaking the formula and moving variables around allows companies to do calculate things like the average number of customers in a store at a given time, the discharge rate at a hospital, or even the total number of finished products one can expect to ship out to customers. Little’s Law is a big hitter for business leaders looking to keep things running at an efficient pace. Owners and managers don’t need a complicated diagram or an expensive business consultant to make this work.